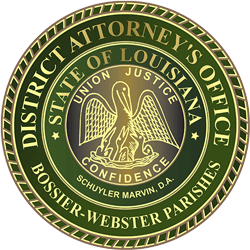 The Bossier District Attorney’s Office presented the Bossier City Police Department with a check in the amount of $13,452.80 from property seized in multiple drug investigations last year. 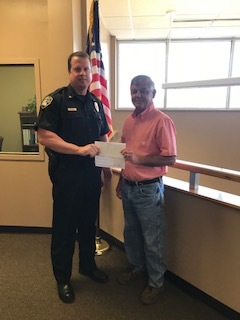 District Attorney J. Schuyler Marvin presented Bossier City Police Chief Deputy Darren Barclay with the check representing assets seized from suspects in narcotics investigations in 2017 and 2018. Assets included items such as cash, vehicles, and other property. The Bossier City Police Department will use the money to conduct future drug enforcement operations in the city.